Congratulations to the most recent recipients of Red River College’s Lieutenant-Governor’s Medals for Proficiency, who’ll receive their awards as part of our 2018 Spring Convocation ceremonies on June 5 and 6. Cheryl Janz — A May 2018 graduate of Red River College’s Disability and Community Support program, Cheryl Janz finds happiness in helping people. 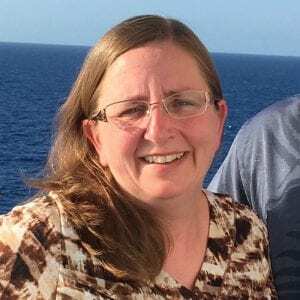 Having worked in the disabilities services field for 20 years, Janz says being able to go back to school and improve her knowledge was a once-in-a-lifetime opportunity she didn’t want to miss out on. The structure of the program — theory, practical work experience, and self-reflection — is something that resonated with Janz. A mother of three, Janz says the decision to go back to school was one that was fully supported and encouraged by her family, and by her manager at enVision Community Living, an organization that provides services to persons with disabilities in Southeastern Manitoba. “It’s been an adjustment for everybody but it’s worth it,” she says. Outside the classroom, Janz spends time with her family as much as possible. When she’s not cheering on her kids at soccer matches, curling games or school events, you can find them volunteering together for Faith and Light, Variety Children’s Charity and the Circle of Hearts Family Support Network. 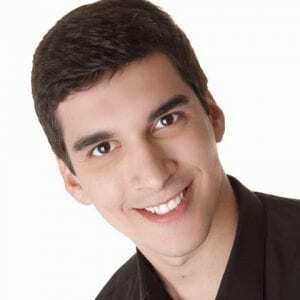 Felipe Tadeu Matoso Gomes — Felipe Gomes always dreamed of moving to Canada to pursue his passion for business and creative marketing. Two years ago, that dream became a reality, when he packed his bags and moved to Winnipeg to enrol in the Business Administration program at Red River College. Born and raised in Recife, a city in Northeast Brazil, the 27-year old was working as an engineer when he deciding to switch countries and careers. Gomes recalls being overwhelmed with the support he received from instructors, classmates and the larger College community. Gomes says he was particularly impressed with the easy access to knowledgeable instructors, the integrated approach to learning, and the ability to work with real clients to solve problems and develop business solutions. Earlier this year, Felipe was a member of the RRC team that placed fourth (our highest ranking ever) at the Vanier College BDC Case Challenge in Montreal, where participants were given just three hours to analyze never-before-seen business problems and create corresponding marketing strategies. He also led an 11-person team to victory at RRC’s 2018 Entrepreneurship Trade Show competition. Gomes is currently working with the College’s Marketing team, in a contract position he accepted after receiving four other job offers. He lives downtown with his husband, and hopes to continue working with RRC in the future — and to give back to the program that helped him achieve more than he ever imagined possible.